Main cause of crops yield reduction in the world is the presence of weeds. Plant-derived smoke solution is well known for its promotry effect on plant growth. In the present study smoke solution derived from six different weeds Asphodelus tenuifolius (Cav. ), Avena sativa (L.), Galium tricornutum (Dandy). Parthenium hysterophurs (L.), Phalaris minor (Retz.) and Scandix pecten-veneris (L.) were applied to find their effect on wheat seed germination, seedling vigor and seedling mass. It was observed that all the weeds-derived smoke solution significantly increased seed germination at 12, 24 and 36h at higher dilutions (1:1000, 1:3000, 1:5000 and 1:10000). Seedling length of wheat was also increased by Asphodelus, Avena, Galium, Parthenium and Phalaris at 1:1000, 1:3000 and 1:10000 dilutions. Similar effects were observed on seedling mass of wheat and increased at different dilutions by all weeds smoke solutions. Concentrated smoke solutions significantly inhibited plant growth of wheat. It might be concluded that effect of smoke solution is concentration dependent and it increases with the increase of smoke dilutions. It is also concluded that smoke solution application is environment friendly. Soymilk was prepared by soaking soybeans fortnight with sodium bicarbonate (baking soda), drained, and then blanched to inactivate lipoxygenase enzyme. Beans were passed through blender and extract was squeezed through muslin cloth, adjusted TSS of the remaining milk to 12% with distilled water, and homogenized. The milk was sweetened with 5% cane sugar and divided to four equal lots. Three lots were flavoured separately with most acceptable quantity (10%) of mango, banana and guava fruit pulp and one lot was kept as control. All the samples were pasteurized at 161F for 16 minutes, cooled packed in 250ml sterilized glass bottles and stored in refrigerator (40-45F). All the samples were analyzed for pH, acidity, TSS, protein and fat and organoleptically evaluated at an interval of one week till coagulation. It was observed that pH decreased while acidity and TSS significantly (P<0.05) increased in all samples. There was no effect of storage on protein content of all samples. The fat content remained almost the same. The score for color and flavour significantly (P<0.05) decreased during storage. All the samples coagulated after four week storage. Frequent environmental contaminants within microbiology laboratory create not only diagnostic quandaries but also poses major risk for health care workers and patients. Objective of our study was to isolate and identify the common laboratory contaminant bacteria with an ultimate goal to reduce false positive culture reports as well as Laboratory acquired infections. 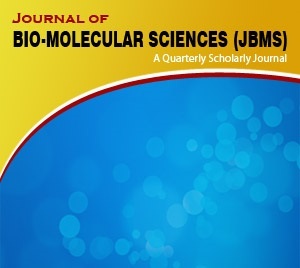 The study was conducted in laboratory of Microbiology Department Kohat University of Science and Technology, Kohat from March 2014 to June 2014. Total 5 samples were collected from different areas of laboratory including table, floor, clothing, air, and incubator. Out of 5 collected samples, total 22 bacterial contaminants were isolated and identified by various biochemical tests. Out of 22 bacterial contaminants, 8 (36.36%) was Staphylococcus epidermis which was the most common contaminants. 7 (31.81%) was Bacillus subtilis which was the second most common contaminants. 4 (18.18%) was Staphylococcus aerous while 3 (13.63%) was Deptheriods which showed minimum bacterial contaminants. Precaution should be taken to get rid of these organisms from laboratory by means of proper laboratory disinfection and sterilization as well as personal hygiene of laboratory workers. From our study we conclude that laboratory can be a potential source of contamination to give false positive results. High degree of sequence variations are present throughout in the coding regions of Hepatitis C virus (HCV) genome. However, a high degree of sequence conservation within the 5-untranslated region (UTR) has made this region a target of choice for most of detection assays based on nucleic acid amplification. The current study was designed to determine the HCV genotypes in samples of HCV chronically infected patients in Pakistan. Specific primers targeting 5-UTR region were designed, which were then used for both amplification and sequencing of all isolates. All HCV isolates were sequenced and genotyped based upon phylogenetically informative regions within the 5-UTR of HCV genome. Out of 15 samples, 9 (60 %) samples 5-UTR of HCV genome was successfully sequenced. However, only 6 (66.7 %) samples were assigned genotypes based upon sequence comparison with reference sequences of database. Results of this study revealed that five isolates that were assigned genotype 3a, showed 97 to 99 % sequence conservation to isolates of genotype 3a previously reported from Pakistan as well as from rest of world, grouped together and coincided with their positions in the phylogenetic tree. Moreover, one isolate that was assigned genotype 4a, showed 97 % sequence conservation to isolates of genotype 4a previously reported from rest of world, coincided with its position in the phylogenetic tree. Our findings suggest that direct sequencing analysis of the 5-UTR of HCV genome is a sensitive and efficient approach of HCV genotyping; it may be adopted as a routine diagnostic procedure for HCV genotyping in clinical settings. The study was carried out during the chickpea growing season to study the effect of seed size on yield and yield components of chickpea. Ten chickpea genotypes NKC-5-S13, NKC-5-S24, NKC-5-S17, NDC-122, NDC-4-20-6, NKC-5-S16, KARAK-2, NDC-4-20-1, NIFA-88 and NIFA-95 were used in this study. Randomized complete design (RCBD) was used with three replications. Data were recorded on days to 50% flowering, plant height, primary branches plant-1, secondary branches plant-1, pods plant-1, seeds pod-1, number of seeds plant-1, 100 seed weight, biological yield plant-1, harvest index, leaf area, leaflet leaf-1, seed yield plant-1, seed yield plot-1. Significant differences were observed for all traits. Ranges of different parameters were recorded as 138-149.3 for days 50% flowering, 53.3-67.8cm for plant height, 1.6-4.5 for primary branches plant-1, 4.1-9.7 secondary branches plant-1, 25-69.2 for pods plant-1, 1-1.7 for number of seeds pod-1, 34.8-69.5 for number of seed plant-1, 18.4-31.1g for 100-seed weight, 9.9-40.5g for biological yield plant-1, 29-51.1g for harvest index, 290.1-716g seed yield plot-1, 4.5-20.5g for seed yield plant-1, 3.8-8cm for leaf area and 12-14.9 for number of leaflets leaf-1.The effect of seed size on yield and yield components was significant for most of the traits.